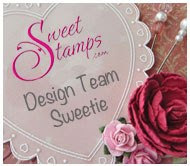 This week at Sweet Stamps we have a "Red, White & Pink" challenge. This card was so much fun. I tried to add as many fun things as I could! I wanted the "love" dp to show as much as possible, so I used vellum under the frame instead of white, and cut out the image. I also added silver liquid pearls around the frame. I distressed the edges of the heart with burgundy ink. I used glitter paper to die cut the vine. I found a heart shaped rhinestone, and a heart charm to dangle. 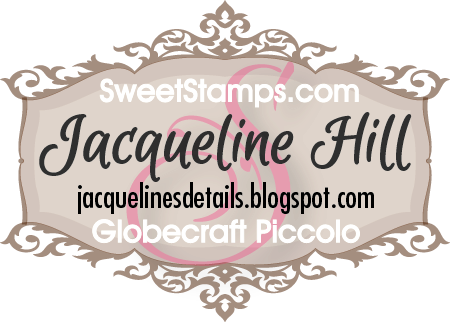 I also used a Sweet Stamps flower to stamp on the burgundy heart in silver. I colored the little boy and girl with regular markers. Oh my goodness this is so sweet! 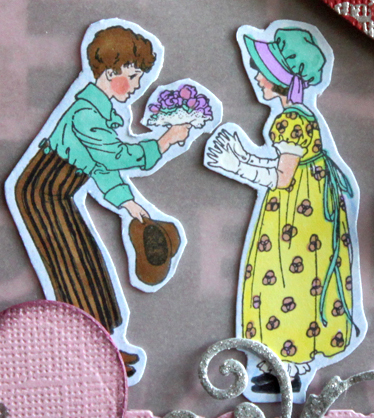 I love all the details and especially the hearts. Precious as can be. 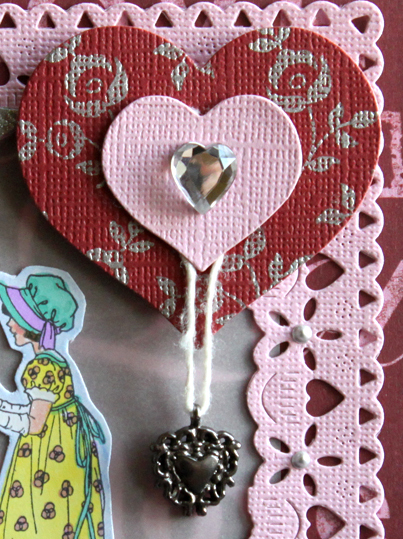 I love the use of the die with the hearts and the added liquid pearls. The crystal heart really adds dimension to the layered hearts. Very cute card. Jackie love your card! The frame is so perfect for the images. Great details with the liquid pearls and heart embellishments. 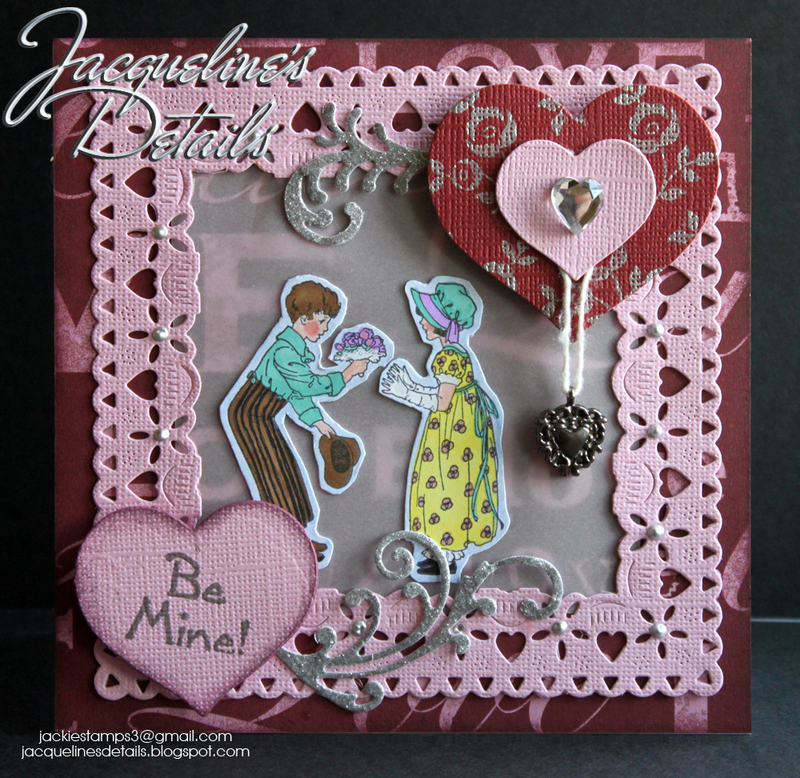 Love all the detail of this card and all the products you used! So pretty!! What a pretty card! I love all your elements love the two hearts with the charm hanging.. WOW!! 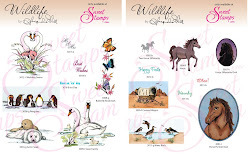 Your card is fabulous!! I love all the details, but the rectangle frame is simply beautiful!